I’m celebrating this September and October, with the publishing of two new books. You wait for ages and two comes one after the other. Buses and books have something in common then, especially the elusive Bus #47 that goes past my flat. In 2012, I had literally walked in through the door from Winchester, straight from our British SCBWI annual conference and my phone went PING! When I opened my phone and screamed. No, it wasn’t the bar tab from Winchester or the phone bill. These screams were of the joyful variety that could only be related to books! Not sure if the neighbours wondered if I had killed my imaginary cat. The cause of the joy was an email from Janetta Otter-Barry, then with Frances Lincoln, who had written to say she'd missed me at the conference and she invited me to submit to her. 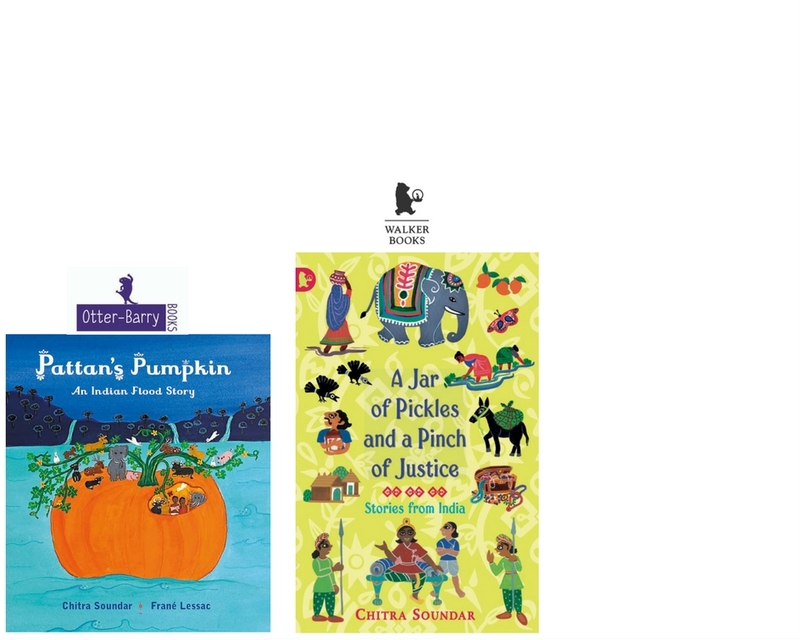 Janetta Otter-Barry and Frances Lincoln have been long-standing supporters of diversity and poetry in children’s books and being invited to submit alone should be enough, isn’t it? Well it isn’t. I wanted to be published by Janetta Otter-Barry. I met her in the new year of 2013 and showed her some of my ideas. Yup, there was no recycling here. All new stuff. This is where my incessant Googling paid off. One of the ideas I showed her was about a previously untold folktale from India, involving a pumpkin. This pumpkin set fire to both our imaginations and Janetta could see the book’s cover in her mind’s eye. 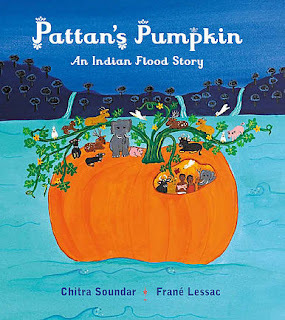 Three years and nine months later, with Janetta creating her own publishing house, Otter-Barry Books, that pumpkin is really on the cover of Pattan’s Pumpkin illustrated by the amazing Frané Lessac, another SCBWI member from US and Australia. 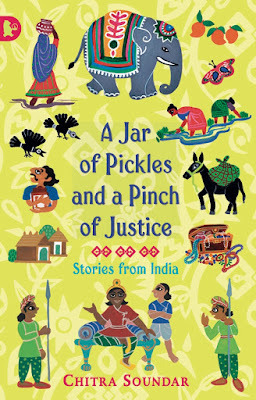 From pumpkins to pickles, now I’m going to tell you the story of the second title being released in the UK in October. This baby is a month early but quite healthy and fine. 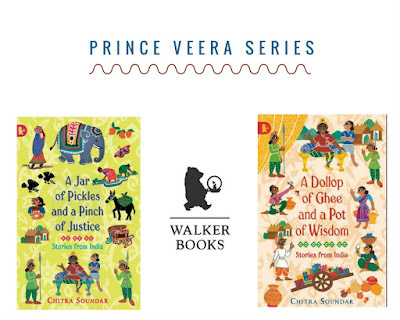 This is my second book in the Prince Veera series with Walker Books, UK. I met Mara Bergman, my editor, perhaps eight or nine years ago at the nascent Professional Series run by Sara Grant at her flat. Mara had agreed to read a page from all of us at the gathering. Mara didn’t think what I had submitted was suitable for Walker Books. But she said she liked my writing and she invited me to their offices in Vauxhall. Another banshee-screaming moment, this time in a much smaller flat in South London where the neighbours didn’t take to foreign immigrants screaming loudly during the weekends (or at nights or in the morning). P.S: I moved. I like screaming. 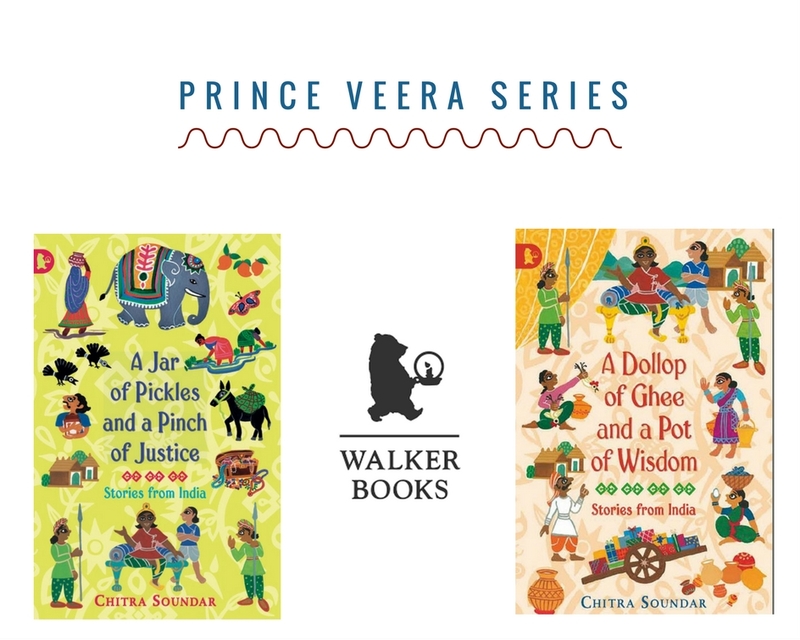 The first book in the Prince Veera series was published in 2010 and six years later, here he comes with his latest adventures and escapades. Both these books are a testament to SCBWI creating opportunities for their members – be it networking at the conference or events throughout the year, not just to improve but also to give us exposure, providing a safe space on Facebook to chat or this wonderful resource called Words & Pictures where we share each others' triumphs and tips. I’m finalising the book launch details for these two books – somewhere central in London and if all goes well perhaps in Bath Spa too. Do come – all are invited. I’ll be telling stories from the books and if you are like me and still a seven-year old, you can do colouring in with me too. I wanted to share this news with everyone here, not just to talk about the books but to ask all of you to join in – engage, network, volunteer, come to all the book launches, lie about your books in pubs and ask for help if you need it. That’s what SCBWI is all about. 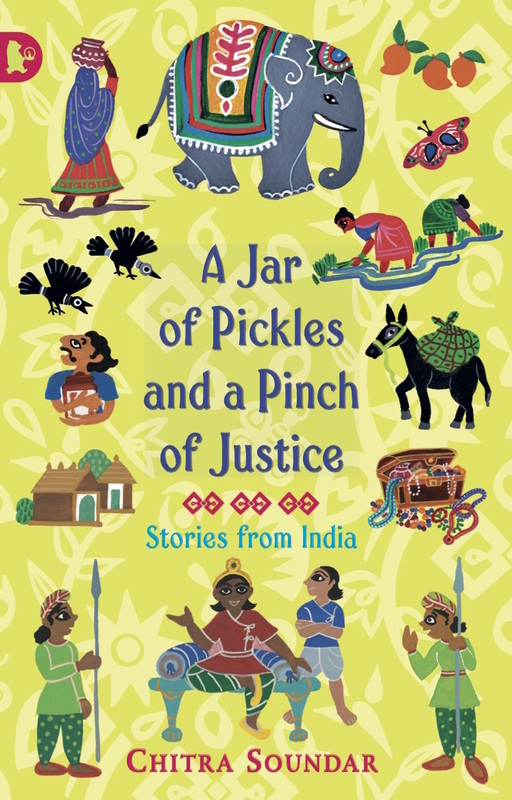 Chitra is a closet clown, consummate liar, writer and storyteller. 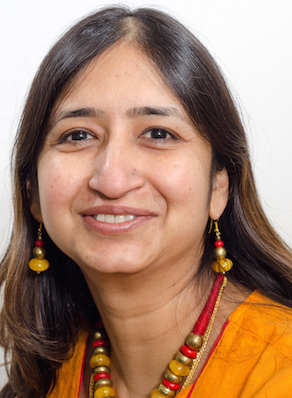 She juggles her Masters degree at Bath Spa University, writing new stories and promoting her newborn books with a day-job. In between all that she squeezes in time for her darling nephews, family & friends and blogging too. Find out more at www.chitrasoundar.com. Love this Chitra. Your books are beautiful and I love the titles. Congratulations! I hope you have many more books deals to scream about in the future! Congratulations. Your books are beautiful. Fantastic post, Congratulations on a double-success! Thanks Ally, Elaine and Frances! We love comments and really appreciate the time it takes to leave one. Interesting and pithy reactions to a post are brilliant but we also LOVE it when people just say they've read and enjoyed. We've made it easy to comment by losing the 'are you human?' test, which means we get a lot of spam. Fortunately, Blogger recognises these, so most, if not all, anonymous comments are deleted without reading. Welcome to our Online Magazine! SCBWI is the Society of Children's Book Writers & Illustrators, a worldwide organisation of writers and illustrators of children's books, whether published, not yet published, or independently published. Click on the logo and check us out. In February, I ran a freewriting workshop based on the weather for the Manchester group, writes Jayne Fallows . What goes into the retelling of a folktale? Proofreading Tips presents Fun With Words! What do Editors Look for in a Children’s Book? Words & Pictures is the Online Magazine of SCBWI British Isles. Powered by Blogger.